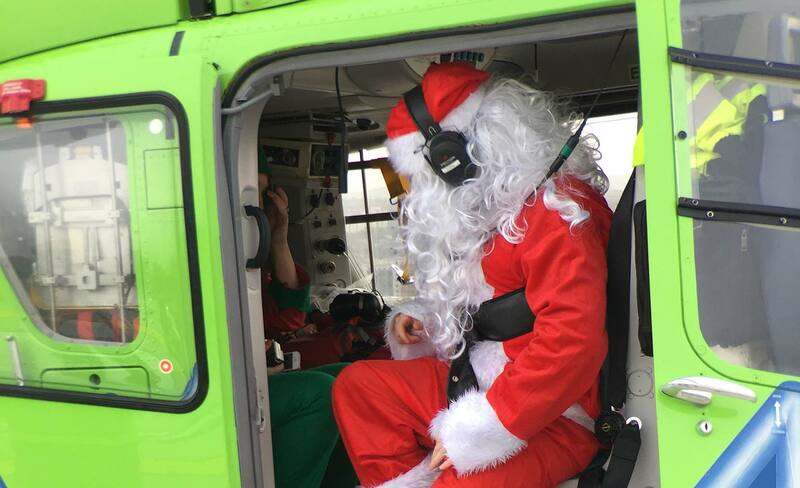 The Great Western Air Ambulance Charity (GWAAC) will be holding a special Christmas party this year, for children who have been treated by their specialist crew. The party will be held at GWAAC’s air base on Sunday 9th December, with the opportunity to meet their heroes and play fun games. Santa himself will even be making a special appearance to give gifts to each of the children. Head of Fundraising Emma Carter said: “We’re really excited to be hosting our first children’s Christmas party. This will be a lovely opportunity for the children we have treated and their families to meet the crew and have a look at our new air base. “We’d love to connect with even more of the children whose lives we have saved, and so are urging parents to get in touch if we have attended to your child”. GWAAC provide the air ambulance and critical care service across Bath & North East Somerset, Bristol, North Somerset, Gloucestershire, South Gloucestershire and surrounding areas. So far this year, they have attended 1,560 incidents using the helicopter or one of their critical care cars, bringing the expertise of their crew of Critical Care Doctors and Paramedics, along with specialist equipment not carried on a land ambulance, directly to the patient. If your child has been treated by this life-saving crew, and you would like to find out more about attending the Christmas party, contact Rebecca on Rebecca.miller@gwaac.com.